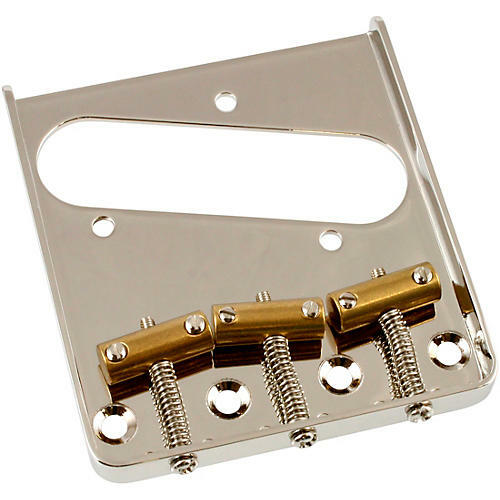 Vintage Style 3 Saddle Bridge for Telecaster Nickel, Tilt Compensated Saddles, 2 and 3/16 inch string spacing. String through body. Upgrade or repair your Tele with the right part. Order today.